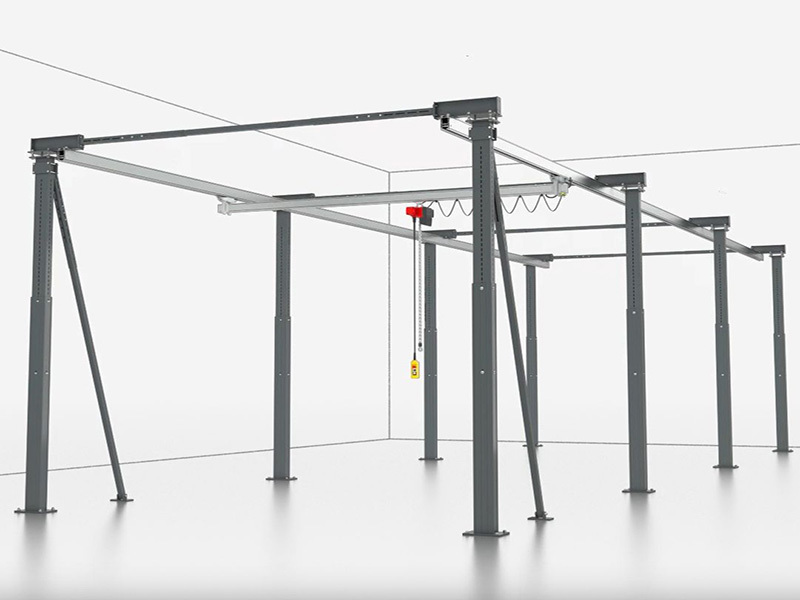 ErgoLine® is an aluminium crane system in modular design of capacities up to 1,000 kg. ErgoLine® excels in extremely easy handling. This is achieved by the innovative gimbal mounting of the crane bridge and easy-running trolleys which run very smoothly in the aluminium profiles. The crane supports and cross bracing can be adjusted in height and width and can thus be adapted to each individual hall layout. All the main components are on stock. 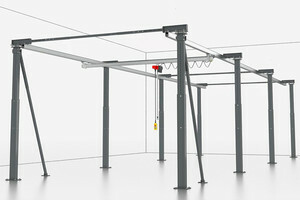 This is why we are able to supply and install your customized ErgoLine® crane system at very short notice.